A big issue with maintaining motivation when you workout is comparing yourself to other people but just know that this will never work because each one of us is different, build in our own unique way to so judge yourself either good or bad to someone else will only hold you back. I use t0 think that situations were not fair because other people had all of this special workout equipment so that is why they were able to stay in shape and it seemed like I had to struggle to get results. The truth to this is, most people with less can make more out of it because they know that if they quit then that is all they have. It took me many years to understand that it has to do with what drives you and not what you have that determines how far you will get so if you have a goal to be in shape to live a healthier lifestyle then never think for one minute that you can’t do that. I like to watch YouTube videos to inspire me at times and even though this one may not be the best quality, the message is. For me, watching inspirational YouTube videos and listening to music is enough to get the blood flowing to have a good workout but there are also alternatives to aid in your energy level and quality of your workout. Supplements such as pre-workout drinks or mixes and one of my favorites are called Total Strength + Performance by Onnit Labs which can be mixed with water or any of your favorite drinks to be used as a pre-workout drink. It only takes a small scoop on Total Strength + Performance to get the extra boost of energy when it really counts. I also like to alternate between Total Strength + Performance and ShroomTech Sport so that my body does not get used to the same intake of nutrients, this way you always get the very best performance out of what you take. If you give your body time to get used to something then most likely you will start to build up a tolerance and as anything, when you build up a tolerance then the effects of what you are taking decreases. Not to mention that the cost of the product goes up to get the same benefit because you are having to take more to get the same outcome. This is the main reason why I like to alternate between Total Strength + Performance and ShroomTech Sport to give the very best of both. Similar to my training schedule, I alternate between the supplements every two weeks so I take Total Strength + Performance for two weeks then I will swap and take the ShroomTech Sport for 2 weeks and I have yet to even start to build up a tolerance so I get the best value for the money that I am spending. I will note that since we are on the topic of money, both Total Strength + Performance and ShroomTech Sport are well worth the money that they cost and both usually last about a month if taking regularly. Here is a video to give you a good understanding of Total Strength + Performance by the CEO of Onnit Aubrey Marcus. This really shows that Onnit Labs strives to do the very best that they can to provide the best quality supplements to everyone so that we can get the best results. The products that Onnit Labs make are of the best quality and are proven by all of the case studies that they have been through and there is no risk with taking these products as the are completely safe to use. 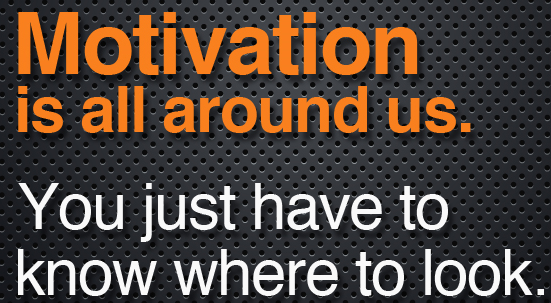 Motivation can come from anywhere but not the same place every time, there will be times when you need to have multiple sources of motivation so whether it is music, YouTube videos, family, friends, reaching goals, or using workout supplements just know that it takes a little extra on those days when things just aren’t going your way. But that is not the time to give up or even take a break, having a good workout when you are stressed out is good for you to clear your head to break out away from most of the world’s distractions. In life we have choices and working out is one of them so make the right choice and choose health, fitness, and a better overall well-being. Set your goals, take a step toward every day, never look back except to see what you have accomplished, find motivation in whatever you can in the situation that you are in. So I hope you never suffer from workout motivation again, as long as there is a day and there is time then it is never late to start so if you haven’t done your workout today then now is the time. If you need a little extra boost from day to day then try Total Strength + Performance or ShroomTech Sport . I do not use them everyday however if I have already worked a 12 hour shift then when I get home I will mix the Total Strength + Performance with some water and drink that to give me a boost to help get a better workout in, keep in mind that your workouts don’t have to be hours long. The of your workout depends on you and what shape you are currently in, I workout for about a total of one to two hours a day but that is because my workouts are spread out through the day. I have a 30 minute workout in the morning to get the blood going for the day plus it helps keep your metabolism increased then after work I usually workout for about 30 minutes to an hour depending on if I am already swore or that muscle group is still in a recovery state or not. There are some days that your body just needs to rest so it is important to note that but that doesn’t mean to just sit around, at least find some activity to move around to keep your muscles from tensing up and becoming to tight. Stretching is very important as well and that helps you stay motivated by not feeling fatigued or swore from your muscles being tight, it is great to be in shape and build a solid muscle foundation but you need a balance of muscle to flexibility to be able to fully function in every day activities. 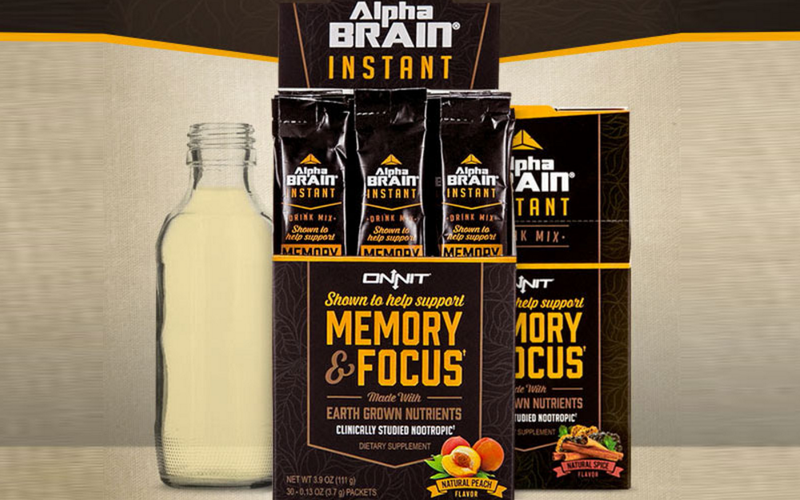 Another key element that I add to my daily intake to help with motivation is Alpha Brain Instant, you can mix Alpha Brain Instant with any water based drink and it comes in a pocket pack so it is easy to use any time of the day. I mix one in the morning, one around lunch time, and one at the end of my day to keep me sharp and attentive with plenty of motivation for any daily task that pops up. You can read my experience with Alpha Brain by clicking this link My experience with Alpha Brain. I hope you enjoyed the article and it was insightful, giving you ideas and helpful tips. As always I would love to her from you so please feel free to leave me a comment about this or past article and even topics that you would like to know about. I loo forward to hearing from you. Comparing myself to other people is one thing that I am guilty of. It is easy to look at others in the gym and feel like I’m not getting anywhere. But like you said everyone is different. I just recently started getting back into the gym after my ACL repair so I have a decent amount of motivation right now. But I know I will plateau after a while and when that happens I will have to try these supplements you mentioned, ShroomTech or Total Strength & Performance. I think we all have compared ourselves to others before but honestly we are all built differently and may be going through things that others don’t. It is easy to look on the outside and see someone you admire or want to be like but they may have experienced worse than we have to get to where they are. The key is to find your own sense of motivation and what keeps you driving in the right direction then keep moving forward until you hit your goals and then set new goals. I hope you ACL therapy goes well, make sure you are careful and do only controlled exercises to not risk any injury. I love your blog post because I am an avid exerciser but also understand how people can lose track of their motivation. I found this post really inspiring! It’s true that we have to make the right daily choices in order to improve our health & fitness and wellbeing! You mention creating motivation for yourself by creating short-term and long-term goals. Would you mind sharing some of your motivation and goals with your readers? Your favorite pre-workout drink called Total Strength + Performance, what is the taste like? Nice to hear from you. As far as some of my goals, it really depends on the time of year. Meaning if it is getting close to summer or the main time to be outdoor a bit then I set a goal to be more cut more than I do as far as building muscle. I set small goals of eating right, stretching, and just finding a good daily routine, it is very satisfying to get into a pattern so you know when your “me” time is. As far as the Total Strength + Performance, my favorite is the strawberry which is a great boost to your daily workout. Why not kick start your workout with a great tasting supplement? I enjoyed your motivating and uplifting article! Sometimes we get too wrapped up in this “the grass is greener over there” mindset. It happens to me too. Just stop worrying about “others” and get into your “zone” and pretty soon others will be looking at your wonderful “green grass”. Best Rx is to just get busy and don’t give yourself time to find excuses. Yep – nutrition is a big factor, too! Speaking of “greener grass”, I’m big fan of green superfoods. Thank you for the kind words and I am happy to hear that you enjoyed the article. I have much more to come and several new topics to go over which could help out in an area which you just brought up, green super foods so pay attention to the week to come.